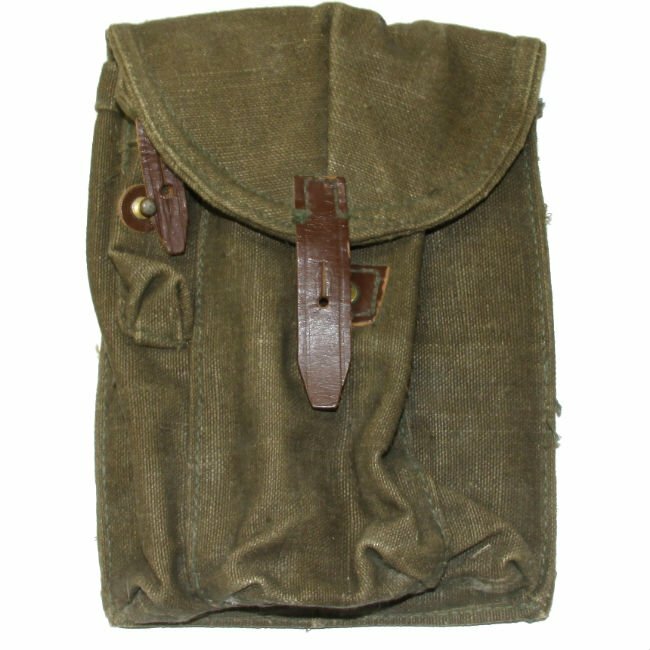 Earlier green version of the Russian AK47 3-cell magazine pouch. Condition vary from good to very good. These work with AK47 30rd or AK74 30rd magazines. 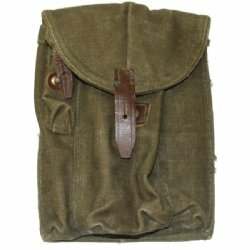 Color of leather and canvas may vary from pouch to pouch. This is typical as they were made over a long period of time.